Car tax changes in 2019 – what do I need to know? | What Car? Vehicle excise duty (VED) on most new and used cars is set to rise from 1 April this year, as part of a government plan to pay for the majority of future road repairs and upgrades through taxes levied against motorists. As announced in the Budget in autumn 2017, VED is now linked to inflation via the Retail Price Index (RPI). For most drivers, the annual cost will go up by £5. However, existing owners of older, more polluting cars will be charged up to an additional £15 per year, while some new car buyers will be hit with an extra £65 charge on first-year VED. As in the past, VED costs will vary depending on a car’s CO2 emissions and whether it’s a petrol, diesel or hybrid. Only electric vehicles – with no exhaust emissions – will continue to be exempt from VED. 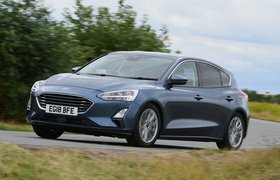 Diesel cars that don’t meet the RDE2 emissions standard – which will become mandatory in January 2020 – will continue to be stung with higher VED rates than their petrol counterparts. After the first year, all petrol and diesel cars first registered after 1 April 2017 attract a flat rate of £145, while hybrids are being charged £135 – an increase of £5 in both cases. Electric cars are once again exempt. The premium tax levied on cars that cost more than £40,000 (and which is payable from years two to six) will also rise from £310 to £320 per year. The premium tax is based on the car’s quoted list price before discounts, plus any options you’ve added. The list price should include on-the-road costs such as delivery and numberplates but excludes the first year’s road tax and initial registration fee. VED costs have already risen for many new cars in the wake of the WLTP fuel economy tests that replaced the former NEDC system last September. Although these more realistic official tests won’t be used to calculate VED until April 2020, the CO2 emissions of all new cars tested since last September are being converted to correlated NEDC figures, which are, on average, 10-20% higher than before. Certain BMWs, for example, have changed by up to 14%, with 15% adjustments for some Volkswagen models. As a result, a petrol or diesel car that officially emitted 120g/km under the old regime might now put out 144g/km. Under the new rates, that means a £40 hike in annual VED cost for the petrol car and a £320 jump for the diesel. A radical overhaul of the UK's VED system came into force from 1 April 2017, making many cars much more expensive to run. Further changes were introduced in the 2017 Autumn Budget for implementation in 2018. From 1 April 2018, the first-year VED tax rate for new diesel cars went up by one band. In addition, the company car tax levied on diesel models increased from 3% to 4%. What about second-hand cars registered before 1 April 2017? If you bought your car before 1 April 2017 or buy a second-hand car that was registered before this date, you won't be affected by these changes because they only apply to cars registered on or after that date. Older cars will continue to be taxed according to the old system of CO2 emissions, meaning that, in the vast majority of cases, you'll be better off. Below are tax rates for cars registered before 1 April from the second year onwards. 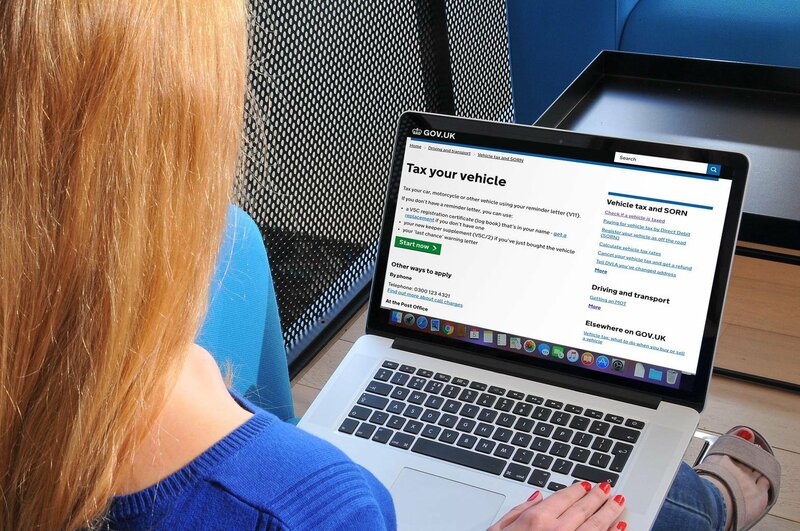 Owners of cars that qualify for free VED are being caught out by not applying to renew their road tax, even though they don’t have to pay the fee. Many low-emissions cars that were first registered before 1 April 2017 and emit up to 100g/km of CO2 qualify for free VED. However, owners of these cars will still get an annual renewal reminder and must apply for road tax, even though there is nothing to pay. Ignoring the renewal notice runs the risk of a fine of up to £1000. Research last year revealed that more than 71,000 people failed to tax their zero-rated cars over the previous three years, with more than £1.1 million in fines being issued as a result. The DVLA requires every car to be either taxed (even if it’s free) or declared off the road by filing a Statutory Off Road Notification (SORN) every year. It claims this ensures an up-to-date record of car ownership in the UK and whether those cars are being used on the road. Cars first registered between 1 March 2001 and 31 March 2017 and producing 100g/km of CO2 or less qualify for free VED. As for cars registered after 1 April 2017, only zero-emissions electric vehicles are eligible for free VED; everything else is charged according to their CO2 emissions. Many of the cars rated at 100g/km or lower are diesels, but only Euro 6-compliant models (in other words, those first registered after September 2016) are exempt from inner-city low-emissions zone charges. If you want to pay no car tax and save money on running costs, the best solution may be to go electric. View our slideshow on the best fully electric cars to find out if one of our favourites could be your next new car. Electric cars are becoming more mainstream by the day and this trend is only going to accelerate as rules are introduced to limit the kind of vehicles allowed into major cities. The main thing holding these cars back remains range anxiety – the fear that you won't have enough juice to get to where you’re going. This is because electric cars can typically cover only about 150 miles between charges and takes much longer to charge than it does to fill a petrol tank. However, this is slowly becoming less of an issue. There are already luxury electric cars that can cover more than twice that average distance on a single charge. And even if you can't stretch to one of those, an electric car can still make sense because they're cheap to run and are ideal for short journeys, such as the school run, trips to the shops or a brief commute. So which electric cars should you consider? Here, we count down our favourites and tell you which ones to avoid. And, remember, before you start shopping for your new car, take a look at our new car buyer deals to see how much we could save you on your next car.